The media, the intelligence community, and most experts have treated the dossier with caution due to its unverified assertions, while Trump has denounced it as fake news. Russian intelligence agencies have sought to create doubt about the veracity of the dossier. The U.S. intelligence community takes the allegations seriously and is investigating them. The Trump administration, Fox News, and congressional Republicans have falsely claimed that the launch of U.S. intelligence community probes into Russian interference in the 2016 election were based mostly on Steele's dossier. 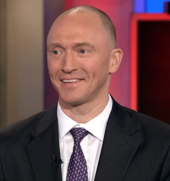 During intense questioning the FBI "alluded to some of their own findings of ties between Russia and the Trump campaign," and "asked Steele about Papadopoulos, and he [Steele] said that he hadn't heard anything about him." 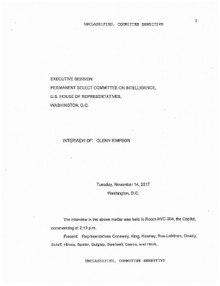 The agents "raised the prospect of paying Steele to continue gathering intelligence after Election Day". The subsequent public release of the dossier stopped discussions between Steele and the FBI. Simpson testified that "Steele wasn't paid by the FBI, but was possibly reimbursed for a trip to Rome to meet with FBI officials." According to Mayer, Steele "did request compensation for travelling to Rome, but he never received any." By the third quarter of 2016 many news organizations knew about the existence of the dossier, which had been described as an "open secret" among journalists, but chose not to publish information that could not be confirmed. 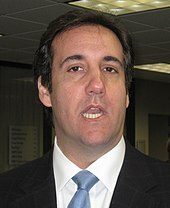 In April 2018, McClatchy reported that the Special Counsel had evidence that Michael Cohen had secretly visited Prague in the late summer of 2016, as reported by Steele, and that Mueller's investigators had "traced evidence that Cohen entered the Czech Republic through Germany", a claim which The Spectator reported was "backed up by one intelligence source in London". On April 18, 2019, the day after the release of the Mueller Report, McClatchy responded to a statement in that report: "Mueller report states Cohen was not in Prague. It is silent on whether a Cohen device pinged there." Trump has denied the "golden showers" allegation, insisting it couldn’t be true because he is a "germaphobe". According to Comey, Trump told him on two occasions that it could not have happened because he did not stay overnight in Moscow at the time of the Miss Universe contest. That claim was soon disproven. Steele and the dossier have become "the central point of contention in the political brawl raging around" the Special counsel investigation into Russian interference in the 2016 United States elections. Those who believe Steele consider him a hero who tried to warn about the Kremlin's meddling in the election, and people who distrust him consider him a "hired gun" used to attack Trump. Russian intelligence agencies have sought to create doubt about the veracity of the dossier. According to Comey, Trump told him on two occasions that it could not have happened because he did not stay overnight in Moscow at the time of the Miss Universe contest. That claim was soon disproven. According to flight records, Trump was in Moscow for 37 hours. He arrived by private jet in Moscow at around 3 p.m. on Friday, November 8, and spent that night in Moscow. Thomas Roberts, the host of the Miss Universe contest, confirmed that "Trump was in Moscow for one full night and at least part of another. (November 8–10). According to flight records, Keith Schiller's testimony, social media posts, and Trump's close friend, Aras Agalarov, Trump arrived by private jet on Friday, November 8, going to the Ritz-Carlton hotel and booking into the presidential suite, where the "golden showers" incident is alleged to have occurred. There were a number of meetings and a lunch that day. Schiller related that a Russian approached them "around lunch-time" and offered to "send five women to Trump's hotel room that night". According to "multiple sources", the offer "came from a Russian who was accompanying Emin Agalarov". Schiller said he didn't take the offer seriously and told the Russian, 'We don't do that type of stuff'." That evening Trump attended a birthday party for Aras Agalarov. They returned to the hotel after the party. Schiller testified that, "On their way up to Trump's hotel room that night, [he told Trump] about the offer and Trump laughed it off". He then accompanied Trump to his room, stayed outside the door for a few minutes, and then left. According to one source, Schiller "could not say for sure what happened during the remainder of the night." British music publicist Rob Goldstone believes it was "unlikely" that Trump used prostitutes while he was in Moscow. 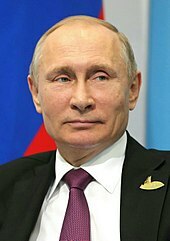 He has stated that he accompanied Trump at the 2013 Miss Universe pageant, and said that Trump was in Moscow for 36 hours, and that he was with Trump for 31 out of those 36 hours. The Wall Street Journal reported that the DNC and the Clinton campaign paid a total of $12.4 million to Perkins Coie for legal and compliance services during the 2016 campaign. This led Trump to claim that the dossier had cost $12 million. The actual cost was far less. 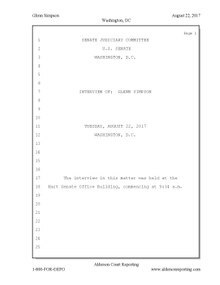 According to Fusion GPS, Perkins Coie paid them $1.02 million in fees and expenses, and Fusion GPS paid $168,000 to Steele's firm, Orbis Business Intelligence, to produce the dossier. Despite that, Trump and his son Donald Trump Jr. continued to claim for more than a year that Steele was paid "millions of dollars" for his work. On December 26, 2016, Oleg Erovinkin, a former KGB/FSB general, was found dead in his car in Moscow. 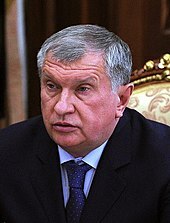 Erovinkin was a key liaison between Sechin and Putin. Steele said much of the information came from a source close to Sechin. According to Christo Grozev, a journalist at Risk Management Lab, a think tank based in Bulgaria, the circumstances of Erovinkin's death were "mysterious". Grozev suspected Erovinkin helped Steele compile the dossier on Trump and suggests the hypothesis that the death may have been part of a cover-up by the Russian government. Experts expressed skepticism about the theory. "As a rule, people like Gen Yerovinkin don't tend to die in airport thriller murders," said Mark Galeotti, an expert on the Russian security services. ^ Hall, Kevin G. (April 18, 2019). "Mueller report states Cohen was not in Prague. It is silent on whether a Cohen device pinged there". McClatchy DC Bureau. Retrieved April 19, 2019.